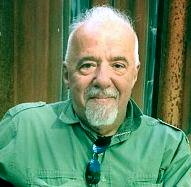 It is a very special time along the CAMINO in Galicia – Paulo Coelho is celebrating and sharing stories about his life through a new movie that is being made. Something for us to look forward to enjoying – we know it will be a special and INSPIRING JOURNEY! This entry was posted in Camino Inspirations!, Camino Stories & Syncronicities, Secret Treasures , Legends & Myths of Galicia, Secrets of Spain and tagged camino, documentary, music, nature, outdoors, photography, spirituality, The Way, traditions. Bookmark the permalink. ← Travel Back In Time – Arde Lucus Roman Festival – Lugo!